Our team has a fanatical focus on Dynamics 365 and Microsoft Business Applications. Offering service, support, education and add-ons – and brought together by our Guiding Principles, we are proud to have the best Dynamics 365 consulting firm in the world. Jim oversees PowerObjects’ global leadership team, an important ongoing role since it was under his leadership that we became the largest Dynamics Partner in North America. 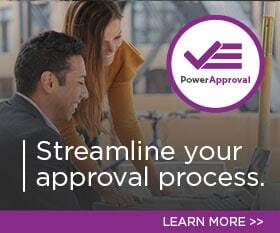 His continued guidance will help PowerObjects meet the firm’s latest goal: to be the #1 Microsoft Business Applications provider in the world. He also works with senior leadership at Microsoft to form channel opinions and share partner views on the direction of Microsoft Business Applications. Finally, after leading PowerObjects’ 2015 sale to HCL, Jim currently fills the senior executive role inside HCL to manage and expand PowerObjects globally – which is happening quickly on five continents. It’s a ton of work but Jim has boundless energy and, fortunately, requires very little sleep. Stephanie leads a team focused inwardly on the employees of PowerObjects. First, they find and entice talented people around the world to join our rapidly growing team. Once joined, her team is also responsible for grounding those talented individuals in the PowerObjects ways of working, as well as nurturing them through continuous learning, to ensure PowerObjects remains an award-winning global Microsoft business partner. Stephanie’s true passion is creating the very best Dynamics 365 consultants in the world. Drawing from her own extensive consulting experience, Stephanie shapes and guides PowerObjects’ training program to ensure technical and consulting best practices are consistently employed in pursuit of her number one business objective: preparing best-in-world talent for real world business challenges across the globe. A background in statistics and psychology makes Therese precisely the right person to handle the inherent challenges of being Chief of Staff for a leadership team filled with brilliant and confident minds. Her primary responsibility is providing consistent traction out of Jim’s office to ensure nothing falls through the cracks. This includes keeping the team on track and supporting all global initiatives, as well as being the conduit to Jim – if you need the boss, you start with Therese. Therese started at PowerObjects in 2015 on the Operations team in Finance, where she focused on revenue, invoicing and Microsoft incentive programs. She was also instrumental in assisting with our financial system migration as we continued global expansion. A pug devotee, Therese is right at home in the dog-friendly PowerObjects offices. Jo Ann oversees administration, accounting and human resources at PowerObjects. A certified public accountant serving a vital role in our financial and accounting operations, her expertise stems from more than two decades of accounting and financial management experience working for technology and professional services organisations. Jo Ann honed her finance and accounting skills at Ernst & Young, one of the Big Four accounting firms, before taking on the role of Director of Finance and Administration for a multinational communications software company. For the next several years, she worked as an independent consultant serving small to mid-sized organisations. Leading all back-office components of PowerObjects during a decade-plus (and ongoing) period of rapid growth is incredibly challenging, but with her breadth of experience and knowledge, Jo Ann continues to make it look easy. With tremendous knowledge and mad skills in application and infrastructure architecture and design, Alex’s roles include providing day-to-day technical direction and leadership for our development, cloud infrastructure and support teams, as well as ensuring cybersecurity for PowerObjects. Alex was programming on a Commodore 64 as a 10-year-old, so you could say he got his start early in architectural design. He eventually got paid for his efforts, spending 10 years in IT management and leadership positions at a Fortune 500 company. Thanks to his exceptional technical contributions to the Dynamics 365 community, Alex carried the Microsoft Most Valuable Professional (MVP) designation – awarded to just a handful of experts worldwide – for five years. Obviously, he’s right at home in a company focused 100% on Microsoft Business Applications. Biplab handles oversight of the PowerObjects consulting team, grooms and coaches team members and manages every aspect of the project delivery process. Having led many global implementations and upgrades across the globe ranging from 10 to 10,000+ users, he is uniquely suited to lead Solution Delivery. A self-motivated CRM veteran, Biplab offers a level of wisdom gained only by working on every version of Microsoft Dynamics since inception. He draws on that experience and knowledge every day in overseeing dozens of projects and deliverables – without ever compromising on quality. Driven by a passion for helping organisations grow strategically by leveraging Dynamics 365, Biplab thrives under pressure. His laser focus on building high-performance, cross-functional, cross-geo teams is instrumental in growing our delivery team worldwide. Excelling at program and portfolio management, Sastry also has a gift for building high-performance teams through dedication, commitment and innovation. This is a particularly relevant skill, as he has full responsibility at PowerObjects for the global overlay of offshore capability supporting all GEOs. As the Business Unit Head of Operations and Delivery in India, Sastry’s other responsibilities include defining the strategy for – and ensuring the growth of – PowerObjects in India. In this capacity, he impresses colleagues and business partners alike with his cool, methodical and practical approach to problem solving, as well as his people management and mentoring skills, which enable him to effectively resolve conflicts and prepare leaders for next-level opportunities through coaching and mentorship. Sastry joined PowerObjects in 2016 after a 20-year career spanning four continents that was devoted exclusively to Microsoft technologies. His post-graduation work in Engineering was completed at India’s top-rated institute for higher learning, Indian Institute of Science (IISc) in Bangalore. Steve guides PowerObjects’ global sales operations, a daunting task given our rapid growth and far-reaching expansion. Rest assured, he’s up to the challenge – after all, he knows Microsoft Dynamics inside and out, having worked with it since before the launch of version 1.0. Steve leads a team of experienced professionals who focus on selling the right solution, building successful partnerships with customers and most importantly, truly understanding and adding value to every customer’s operation. His teams consistently receive top customer satisfaction scores and produce significant yearly growth. Talk to him for just one minute and it will be clear that Steve’s true passion is helping customers realise the benefits of investing in Microsoft Dynamics 365. Clearly, he’s got the right job. In a company whose guiding principles include the mantra “Live the Technology,” Jeff’s role is unique among his peers. He leads a Marketing team that relies more on creative artistry than high-tech innovation to fulfill its role in growing the organisation. With extensive experience on both sides of the aisle, he’s in exactly the right spot. After working as a “techie” for one of the first search engines in Silicon Valley, Jeff took on an entrepreneurial marketing role in specialty e-commerce. Eventually, his interests brought him to PowerObjects to help navigate our rapid growth. He currently oversees the brand and marketing vision for PowerObjects globally. Jeff implores his team to think innovatively in order to gain a competitive advantage in a channel that has been operating the same way for decades. For example, under his guidance the team has flipped the traditional script by simply giving away PowerObjects’ expert content, recognising that doing so paves the way for future opportunities. Our team is 100% focused on CRM for Microsoft Dynamics 365 and has the experience, knowledge and talent to take your solution to the next level. See the results you envision by working with the leading partner in the industry – contact us today!